My journey began 9 1/2 years ago when I was diagnosed with multiple myeloma – a blood related cancer that lives in the bone marrow. After a stem cell transplant in 2000, I also became an incurable optimist. I tried to resume a new normal life. I no longer could work because of a compromised immune system. Having worked in the school system, I was told, at 54 years old, I had to retire. I learned to adjust my sails and to grow personally and to reach out to others in a meaningful way. Having lived in Maine all my life, I started a new adventure three years ago. I sold my home and my daughter and son-in-law built me a mother in law apartment, which I call my penthouse. That was the just the beginning of my adventures. Having a doctor at Mass General (Dr. Raji) I had been on a drug called Thalidomide, which was in pill form and it was no longer working for me. I needed to start a treatment called Velcade in an infusion twice a week. On the day I was to go to Boston for my appointment, I met Michael, who owns a tour company. Well, I don’t know who talked the most. On Amy’s behalf, I would like to thank Michael for all the rides he gives to cancer patients. I will never be able to show my gratitude to Amy’s Treat for helping me keep my independence. Her memory will live on forever through the cancer patients she has helped, with gas cards, dinner, and travel for people finishing a grueling treatment of radiation and chemo. 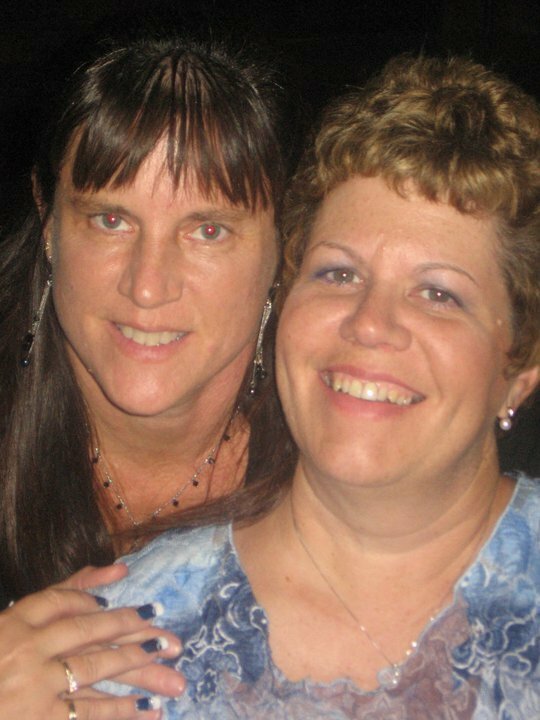 My sister in law, Robin, was diagnosed with cancer 10 years ago. She had no choice but to undergo chemotherapy radiation treatments if she wanted to try and fight her cancer. I went with her to her treatments nearly every Tuesday for the last 4 years. The treatments were both physically and emotionally tough on her, and often made her feel more sick than before she went. Despite the tremendous pain the chemotherapy had on her, she was able to maintain a positive attitude at all times. It broke my heart to see the toll that Robin’s treatments had on her; I felt helpless because I could only hold her hand, when all I wanted was to take her pain away. After her treatments (if she was feeling strong enough), Robin and I would play a little game we called, “pick a new place to visit”. We went anywhere from bookstores to yarn shops, to restaurants, all in hopes that her day would brighten a little. I came up with this game to help transition her thoughts from what she had just gone through, to something more positive, that would keep her spirits high. The excellent care of the cancer center’s medical staff allowed Robin to live long enough to see the birth of her granddaughter, MaKenna over a year ago. She adored her as much as life itself and cherished every minute of her time with her. She also fought her cancer hard enough to watch her youngest son, Ryan graduate from high school in May 2010. She was thrilled to learn that he was accepted to Colby Sawyer College. Sadly, she died soon after. What I remember most about Robin is her smile, strength, and courage. She loved life and was an inspiration to all. She taught me a valuable lesson: to live each day to the fullest and to always “pay it forward”. When she passed away I knew I had to give back to the cancer unit that helped her live long enough to witness many important family events and to Amy’s Treat; an organization that brought so many smiles during such difficult times. After thinking about my time with her over the past 10 years, I decided to assemble baskets in honor of her. The baskets are filled with an array of gifts from Danielle Steele books, to Athletic Tickets to UNH sporting events, as well as gift cards to restaurants and Jewelry Creations. Each item in these baskets represents Robin’s favorite things and will be given to cancer patients undergoing treatment. My hope is that these baskets can brighten a day in the life of someone who has to endure what Robin so bravely battled. “Simple acts of kindness need to be passed on, thereby becoming contagious"